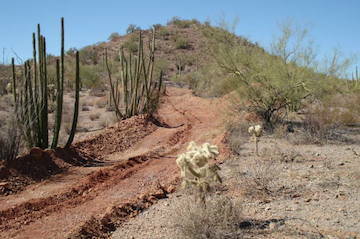 Typical scenery in the Sonoran desert in Mexico. 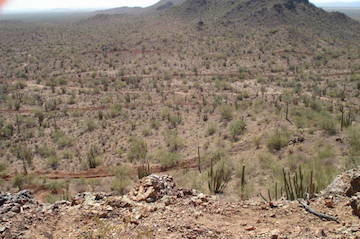 This area is part of the geological mega-shear zone that has been responsible for many large gold discoveries. 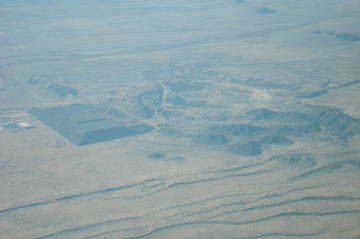 Aerial view of the open-pit Alamos gold mine in Mexico. 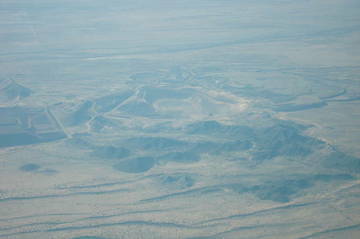 Aerial view of Newmont Mining's La Herradura open-pit gold mine in Mexico. This mine is Newmont's lowest cost producer worldwilde. Another view of the La Herradura mine. Bull-dozing a road and trench into a key area that has been identified as good potential for gold exploration in Mexico.